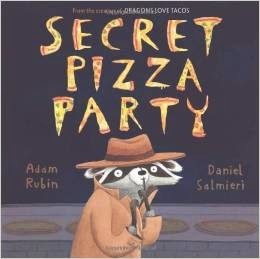 Secret Pizza Party by Adam Rubin and Daniel Salmieri. Silly raccoon! Pizza's for kids! Can't blame a guy for trying, though. Count on this author to make us laugh out loud. Recommended by The PlanetEsme Plan. Link for information; please support your local independent bookseller.